Based in Stamford Lincolnshire, we are an independant firm that relies heavily on the good word of mouth that our clients spread about us. Our clients are our most important asset and so we like to meet them individually to get a proper sense of the work they are after. We are a Stamford Design agency that believes bespoke functionality is the key to achieving the best results. Great web design comes as standard, however as important is optimisation for the web, ensuring that browsers on different machines are able to show your company to its best. We understand that getting a web design that fits your needs and budget can be a daunting task. You probably are not sure where to start looking. This is why we aim to make your experience as simple and affordable as possible. We will speak your language and explain design options in a simple and honest manner from the outset. As well as specialising in web design, BJ Creative have spent many years doing custom bespoke artwork for people. Sometimes these have been used as presents, be they birthdays or weddings and sometimes people have wanted a spectacular show piece for one of their rooms. Contact BJ Creative and get your free quote for your new web design, logo design or any other piece of work that you wish to discuss. BJ Creative likes to create bespoke solutions for your website, rather than working from templates. We find that creating the ideal solution for you cannot be completed by ammending someone elses design. We like to put forward an initial concept ideal and the work around the suggestions of the client to achieve the best result for you. BJ Creative is very competitively priced and we think that you will like the end results. 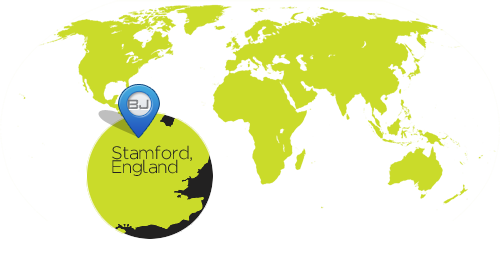 Based in Stamford, near Peterborough, we will travel to you to discuss your needs. All new sites are mobile responsive as part of the design process. This means that your business will grab attention and serve you on any device your customer wishes to use. Our custom artwork has been created for a range of customers and encompasses the use of graphics programs to create some really creative and striking images. We have produced artwork for wedding seating plans, 30th Birthday posters, wedding presents and stag do's. Please find below a selection of the artwork that we have completed for clients in Stamford and much further afield. If you wish to see further information, simply click on the website image and you will be taken to the bio for that piece of bespoke artwork. BJ Creative has created some incredible works of art for clients for a wide range of purposes. We have created logos for local cricket clubs, to logos that have been used to launch international medical products. Please find below a selection of the graphics that we have completed. If you wish to see further information, simply click on the website image and you will be taken to the bio for that piece of bespoke artwork. Please find below a selection of the artwork that we have completed. If you wish to see further information, simply click on the website image and you will be taken to the bio for that piece of bespoke artwork. Email design is a skill that is developed rather than learned. BJ Creative has sent millions of emails, not just in Stamford, but globally and for a whole range of industries. Each new piece of technology that comes along, slightly changes the arena, but the simple rules that allow email design to be so effective remain. All emails designed by BJ Creative are responsive as standard to ensure your customers receive your message exactly as you plan them to. We check the designs on a wide range of operating systems, and devices to guarantee you the best results. We would love to hear from you here at BJ Creative. Simply fill out the form below and we will get right back to you to aid in any way we can. We are a team of designers, tinkerers, and ninja software coders! We are thirsty for learning new ways of doing things and strive to keep surfing the net for the latest fashions. Our own infectious personality will rub off on you, we're sure of it!